Extremely well kept single level brick townhome with Carolina Room.Updates include HVAC in 2011,new roof in 2012,exterior trim painted in 2015,and new hot weater in 2017. Living room with fireplace,dining room and separate laundry.Two outside storage rooms.Extra large lot. 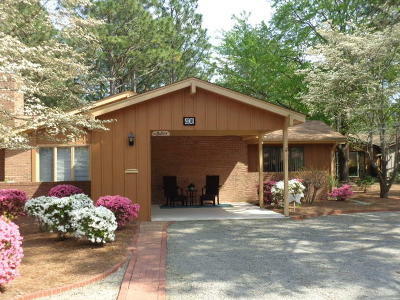 Circle driveway allows extra parking for guests.Short walking distance to pool.